Those little green trees – they are everywhere. Freshening the world, these ubiquitous little trees have become a pine scented reminder of how much this product has become a part of our pop culture. They have appeared in movies, television shows and have been referenced in pop songs. They are everywhere. Believe us…you’ll see. 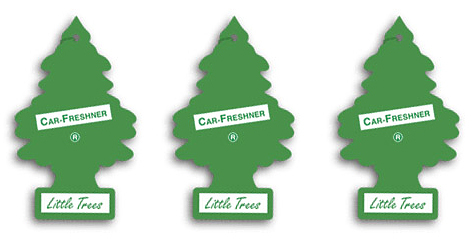 Little Trees are disposable air fresheners in the shape of a stylized evergreen tree, marketed for use in cars. They are made of a material very similar to beer coasters and are produced in a variety of colors and scents. They are most commonly seen hanging from rear-view mirrors on front windshields. 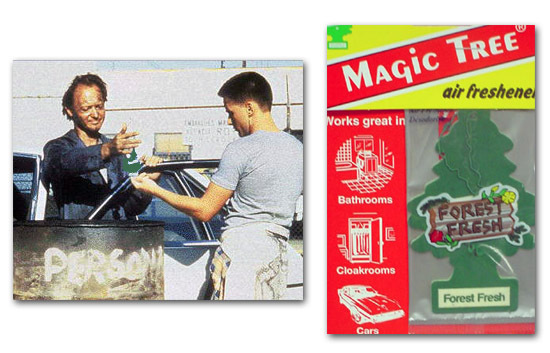 These air fresheners were invented in 1952 in Watertown, New York by Swiss-born Canadian businessman Julius Sämann. They are manufactured in the US by the Car-Freshner corporation.